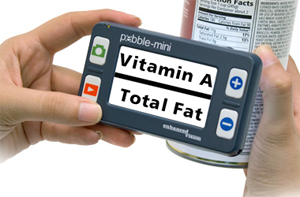 Pebble-mini’s ultra-compact design makes it the ideal hand-held magnifier whether you’re at home or on the go. Easily read prescriptions, mail, labels, price tags, menus and so much more. Wear Pebble-mini around your neck or carry it in your pocket or purse – the only time you’ll know it’s there is when you need it!